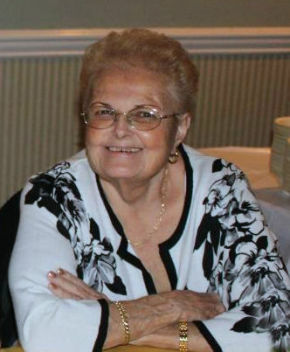 Maria Nasso, age 74, a lifelong resident of Fair Lawn, NJ passed away on Sunday, April 14, 2019. She was a parishioner of St. Anne R.C. Church in Fair Lawn. An involved citizen of her community, she was a member and past president of the Cosmos Club, past president and current board member of the Fair Lawn Historic Preservation Commission, member of the Fair Lawn Republican Club and a member of the Fair Lawn Seniors. A woman who loved all things Christmas especially the love and joy of being with family, she was a member of the Department 54 Christmas Collectors Club. Maria enjoyed traveling and time spent at the Jersey shore. She was an office manager with Nasso Electric in Fair Lawn. Previously, she was a head clerk for the Upper Saddle River Post Office where she served as shop steward and union delegate with AFL-CIO. Loving and devoted mother of Joseph Nasso. Beloved daughter of the late Joseph and Mildred (DeMarco) Nasso. She is also survived by her loving extended family. The family will receive relatives and friends Wednesday 4-8 pm at Vander Plaat-Caggiano Funeral Home, 13-31 Saddle River Road, Fair Lawn, NJ. A funeral service is planned for Thursday 10:30 am at the funeral home. Interment will follow at George Washington Memorial Park in Paramus. In lieu of flowers, donations in memory of Maria to the American Lung Association, 55 W. Wacker Drive, Suite 1150, Chicago, IL 60601 would be appreciated.